Following the successful Metro poster campaign of the previous year FL@33 was recommissioned for this task to double the amount of posters and create a series of four. 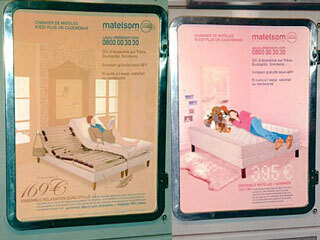 Different scenarios were developed together with Matelsom's inhouse marketing team – a young couple that just moved together (as in previous campaign – but this time with the bed already delivered), a young teenager who's parents just upgraded her children room, a student with a space-saving sofa-bed and a more luxurious electric bed alternative. ___ All illustrations featured photographic bed and mattress elements while the rooms, people and accessories were mostly illustrated. ___ The poster campaign appeared in Metro carriages across Paris in December 2002. It was so popular that they were left for over a year until approximately spring 2004. 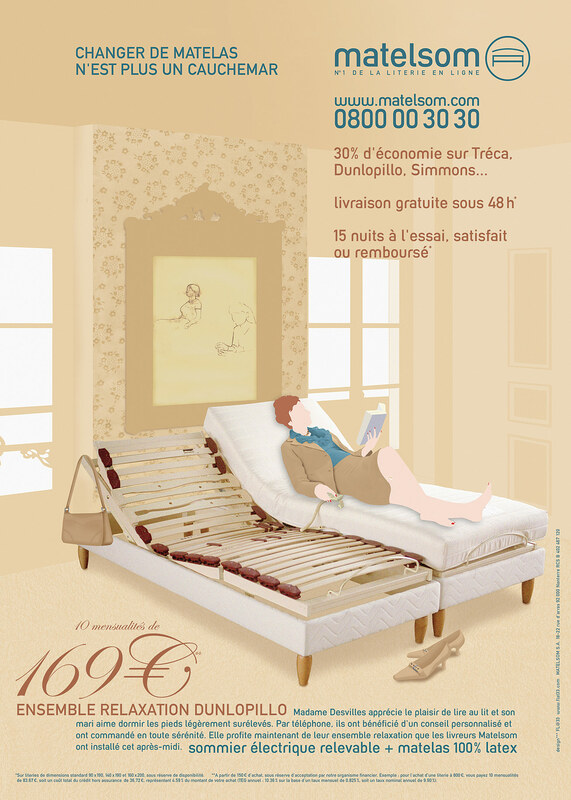 Matelsom.com is the leading e-commerce mattress and bed supplier in France. 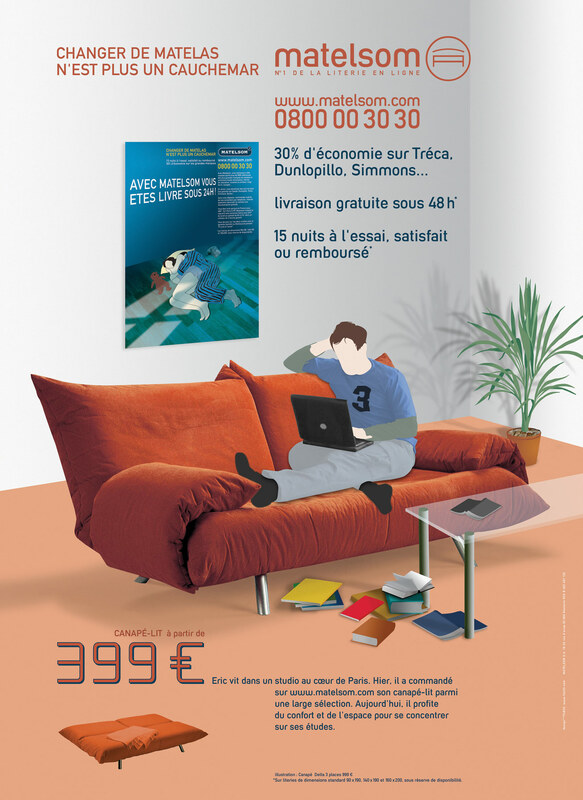 It offers choices of thousands of products to be ordered online or via telephone. Nowadays it's part of Groupe Matelsom that also includes French firm Camif since 2009. ___ Between 2001 and 2007 FL@33 had the continuous task to develop communication strategies, generate concepts and consult them across all media, which lead to Matelsom's logo, their custom housefont, stationery, website design of their version 2 and help with version 3 including UI icons and other graphic elements, illustrations for web banners and print ads, Metro poster campaigns 2002, 2003/2004 and Dream campaign 2004/2005, bus posters, CD cover, mattress fabric pattern, T-shirts and more. 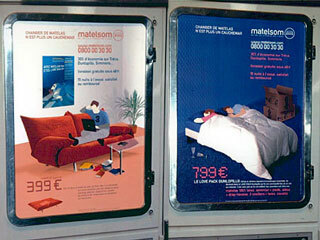 ___ From 2003 onwards we also took care of many communication aspects including developing visual identities of Matelsom's sister-companies including meubles.com.